LOOKING FOR INDEPENDENT ADVICE ON A RANGE OF MORTGAGES? Whether you're thinking of investing for a specific purpose, or simply looking to secure your financial future, we can advise on how and where to invest. As an independent mortgage adviser, we research the whole of the mortgage market, meaning we are not tied to any providers. This allows us to cater for your individual requirement. 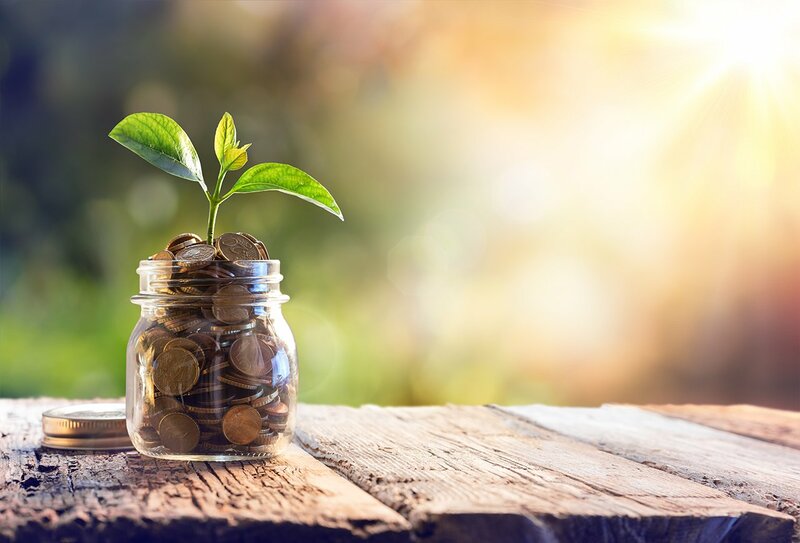 At Breslin Financial Services our approach to investment advice is based on clearly understanding your financial situation, your goals, and how much risk you are prepared to take with your money. At Breslin Financial Services our approach to retirement advice is based on clearly understanding your financial situation, your goals, and how much risk you are prepared to take with your money. A mortgage is likely to be the greatest financial commitment most people make, asset protection aims to help you keep your home and maintain you standard of living shout the unexpected happen. At Breslin Financial Services you can count on us to assist you on your financial needs and most importantly treat you how we would like to be treated. Our advice is simple, clear and easy to understand and with over 20 years in the industry you can be confident that we will offer the most suitable recommendation for your requirements. Managing your finances effectively can be a confusing business. The financial world is complex, and making the right decisions for your future can seem a daunting prospect. At Breslin Financial Services, we take pride in offering a personal service that takes into account your individual circumstances. Your financial situation is unique, so we work hard to understand your goals and aspirations, and make financial recommendations based on a comprehensive and detailed analysis of your needs. Great personal service and guidance! Having a low basic income, I needed to get the best remortgage deal possible to reduce my monthly mortgage payments and overall loan. I chose Breslin Financial Services to help me having heard about their friendly personal service from a friend. Kyle, my personal adviser, talked me through the whole process and was always readily available to answer my numerous questions. No question was too stupid for this company. Not only did Kyle find me a great remortgage deal with a leading high street lender, I actually reduced my monthly payments by £100, arranged better life and critical illness cover and even got cash back! I would definitely recommend this company to anyone as they really do offer great personal service and guidance through a very stressful experience. Totally confident that the advice given can be trusted! Gary and his team have advised me personally and through our business with sound financial advice. Whether it has been for mortgage, pension or financial investments, you feel totally confident that the advice given can be trusted. He cuts through the financial ‘jargon’ at every step to ensure the layman is comfortable and confident that the financial planning he recommends is indeed what is best for you. I would have no hesitation in recommending his company to anyone, to ensure they are guided through the financial minefield with no worries whatsoever. I contacted several brokers as well as my bank for quotes on a mortgage for my new home. The quote given by yourselves was just over £100 per month cheaper for the exact same mortgage I was quoted elsewhere. Although I had to pay a small arrangement fee, It was well worth it and I was still a lot better off throughout my fixed term. The process was seamless throughout and I must pass on my sincere thanks to Jason at Breslin financial services as he took lots of pressure off what is usually a highly stressful time. He was thoroughly professional from start to finish and I would highly recommend using Breslin financial services again. Thanks for all your help. I bought my dream home in June and can’t thank Breslin Mortgage Services enough. From day one their guidance and knowledge was second to none and at every stage I was updated and informed of changes, next steps and outcome. My adviser Kyle was excellent. As well as his vast knowledge and professional manner, he was very empathetic and realistic to my situation and ensured that the whole process was tailored to my needs from start to finish. In addition to this, I am now using Breslin Financial Services to assist with the next chapter of my life. The consistency throughout the company is evident as you move from one division to the next. If you would like to go through significant life events, like buying a house, and want peace of mind that all your decisions, transactions and outcomes are dealt with in an empathetic and loyal manner then I can’t recommend Breslin Services enough. I recently had reason to review my protection and was recommended the services of Kyle. He came to my house and spent time going through a number of options with me. Kyle made sure the product was right for me, not him and dealt with purchase professionally. He then followed this up a few months later with a polite call to check the product was still the correct one and if I needed any other assistance. I’d have no hesitation in using his service again. The process of having your first mortgage seemed difficult and hard but Breslin Financial Services have made the whole process from beginning to the end easy and fun. I can highly recommend Breslin Financial Services. The whole process was dealt with professionalism, complete trust and quickly. The choice was made easy by being able to place trust on the advisor from the get go at our initial meeting. Advisor was very professional, relaxed and covered all aspects in detail and set expectation of how Breslin Financial Services can help, which was fulfilled completely. The advice on other areas such as mortgage protection and future endeavours was covered in detail. In my case the whole process was turned around in a matter of 3-4 weeks, the efficiency and accuracy of getting things done was at an excellent level, with regular communication. I can safely say Breslin Financial Services will be my first choice in the future as well as my first recommendation to family, friends and anyone looking to by a property. Me and my partner were first time buyers, and was very nervous about the process in applying for a mortgage. We were recommended Mr Kyle Breslin as a mortgage advisor, and we couldn’t have been happier with his services. From start-to-finish Kyle was very clear with his information and went into everything in depth. He was very patient with us and was happy to answer any questions we had. Kyle also doesn’t “Switch-off” and also sends information from the morning-evening time. Kyle is also very easy to talk to, he is very down-to-earth but still keeps a professional image. So the working relationship was established very early on and was very comfortable to speak to him. The illustrations sent over for the mortgage were very clear, and I was able to understand them thoroughly. Kyle was able to suit the mortgage to my personal & financial circumstances. Once we were happy to submit the application the turnaround was very quick, and there was no delay on Kyle’s end. Kyle also helped us in other areas such as the mortgage & home insurance areas. He gave us information in regards to the protection of the mortgage and the property. He gave us financial costs for them, to suit our budget and life-style. If you are looking for a mortgage advisor, I would 100% recommend Kyle Breslin as your mortgage advisor. If we look to re-mortgage In the future, I would go back to Kyle without any doubt in-mind. I recently bought the family home and I used Breslin Financial Services to do so. I was a first time buyer, I didn’t know where to start. I met Kyle by chance, at the right place at the right time. I was absolutely delighted with the service he provided. Kyle took so much pressure off, the full process was seamless and stress free. I couldn’t be happier with the outcome, over £100 per month cheaper than I thought. I would definitely recommend Breslin Financial Services. Just want to thank Kyle again, very professional, polite man. One of a kind. Breslin Financial Services was recommended to me by the developer of the new build I am purchasing. They not only helped me find the perfect mortgage but made the journey as smooth as possible. My adviser was Kyle, who made me feel very relaxed and like a priority at all times. 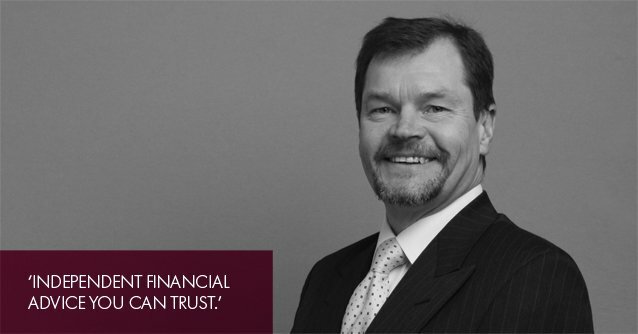 I plan to use Breslin Financial Services again at the end of my fixed term, as the service provided has been faultless. I will also be using them to find critical illness cover for my mortgage. We recently saw our dream forever home and naturally went to our current mortgage provider. After hours of appointments and form filling, our application came back lower than what was originally agreed. We were gutted and worried that we may miss out on the house. Kyle was recommended to us by a friend and what an experience and service he provided! A phone call to introduce himself, a home visit to tell us about the service he provides, daily touch points, documents sent via email and photos to speed up the process. Liaison between both solicitor parties to ensure we achieved the move in date requested. Within a 5 week period, we had seen the house and had moved in. The service is amazing. We will not go anywhere else for our mortgage needs now or in the future apart from Kyle. Kyle also assessed our protection needs and although we thought we had enough cover through our company benefits, a gap had been identified and a policy to cover this was put in place so we have full financial security. Kyle turned what is normally a horrible, stressful life changing event into a seamless stress free transaction. I will be recommending Kyle to all our friends and family who are looking to move house / buy their first home. We contacted Breslin Financial Services because our mortgage term with a non-High St product was coming to an end and our financial situation is not straightforward. After reading their online advertisement, we were satisfied that they are truly independent, have access to whole of market and their fees would be clearly explained. In addition to this, the business is a family affair and their offices are only a few miles away. After speaking to Gary Breslin, I knew we had taken the right first steps. We could not have asked Kyle Breslin to do any more and he kept us informed at every stage. We had been completely open with him from the start which was reciprocated and meant that there were a number of products we would not qualify for. It transpired that one of the top options (not necessarily for us)was with our existing provider – something Kyle could not arrange as we were existing borrowers. Kyle was convinced that, despite a fairly recent financial hiccup and retirement imminent, we would be looked upon favourably because of our longstanding unblemished record with them. Kyle was right and we have secured a 5 year fixed rate of 2.4%. Although strictly speaking, Breslin Financial Services did not provide a product for us, they were completely honest about our best options and put our considerations first above any desire for commission. We have no hesitation in recommending Breslin Financial Services and have done so already to our family and friends. Furthermore, if at any time in the future we require financial services, there is only one number we would call. Breslin financial services arranged our first ever mortgage. The process was very easy and straight forward. We would absolutely recommend BFS to anyone looking for a mortgage or renewal. We are really happy with the service we received from Breslin Financial services. Kyle made the process so much easier than we had expected as first time buyers and explained everything throughout. He also didn’t give up when things weren’t quite going our way and he was very thorough when finding us the right mortgage for our circumstances. Me and my partner would highly recommend Breslin financial services. Friendly, reliable & trustworthy. Thank you Kyle! Kyle also helped us by arranging our building/contents insurance and life insurance. He took the initiative to find us the best deal and even completed the application for us which saved us a lot of time. When we are ready for renewal, we will be coming back to Kyle as we wouldn’t want to work with anyone else due to the high level of customer service we have received. Thanks again for all your help! Breslin Financial Services was recommended to us by a friend. We couldn’t be happier with the service and advice we received from our Personal Advisor, Kyle. Buying our first home at the beginning was a very daunting experience. Kyle was always on hand to answer our many questions. He was very thorough making sure we understood every step of the process, offering great advice out with the mortgage that for first time buyers was welcomed greatly. We will definitely be using Breslin Financial Services in the future and will have no hesitations recommending their services to anyone looking for financial advice. We would definitely recommend Breslin Financial Services. Kyle has helped us achieve our first mortgage and allowed us to get onto the property ladder. Being first time buyers with limited knowledge of how a mortgage is obtained, Kyle handled all communication and ensured all measures were taken so we did not need to concern ourselves with the detail. Kyle Breslin was our adviser, he has been so helpful throughout our whole mortgage process from the initial discussions around borrowing, sourcing the best deal for us and finally the application. Kyle has went over and above to put our minds at rest which is definitely required being first time buyers. While remaining transparent and professional, we have received clear guidance and advice every step of the way. One of us recently made a career change prior to our application which often causes complication. Kyle handled this superbly and we were able to secure an agreement in principal for a very good price without damaging our credit rating which is a major worry when applying for a lender. Breslin Financial Services provides a very tailored and personal service which is so hard to come by these days. We will not hesitate to use them in the future. They provided all research that was carried out specifically for us which shows great honesty and we knew that we were getting solid advice. We will without a doubt reach out to Breslin Financial Services again to re-mortgage when that time arrives, the time and effort which this company put in to get the best deal for you is far greater than we could achieve on our own. Recently I appointed Breslin Financial Services to firstly advise me on my financial situation and then to acquire a new mortgage on my behalf. The service I received was to the highest standard at all times and I felt comfortable from the beginning with the service I was being provided with. Kyle who dealt with me from the first day worked tirelessly to not only ensure that I had the best possible offer but also had my mortgage offer processed and approved within 2 weeks. The service they provided didn’t just stop with the Mortgage they are also assisting me with acquiring a better more suitable life insurance to my new mortgage and will help review my new mortgage at the end of the fixed rate term. You helped us achieve are dream!! Myself and Mark would highly recommended Breslin Financial Services, you helped us gain our mortgage offer very quickly and efficiently the full process was breeze! Everything was fully explained in the best way possible as myself and Mark didn’t really know much about the process as we are first time home buyers. The Service was excellent from Breslin Financial Services and our financial adviser Kyle Breslin was more than helpful! Fully explained everything from start to finish and made the process very easy. Kyle kept in regular contact with us letting us no every step he was taking to make sure we was fully involved. Kyle cleared all fears we had and made it very calm and relaxing process. My self and Mark would have no problem recommending Breslin Financial Services to our family and friends! Absolutely outstanding service! Kyle Breslin will be helping us in future as once we get our new home he is going to explore the different types of home and life insurance for us making sure we get the best deal which we are very grateful for as new time buyers we wouldn’t know where to start so we are so happy Kyle is helping us through this full experience. Thank you once again Kyle – You helped us achieve are dream!! I would definitely recommend Breslin Financial Services, I found them to be very helpful, approachable and professional. Kyle provided us with an excellent seamless service. I will be asking them to provide me with a personal financial plan and advise for the next few years. Breslin Financial Services have been a great help in buying our first home. As first time buyers; mortgages and insurance etc. can be daunting but having someone there with vast knowledge and experience was reassuring and made the whole process very easy. Kyle has been great throughout the process with frequent emails and phone calls to keep us updated and to find the right product for us. Kyle ensured to take the time in finding out about what we need/about us to be able to provide us with the right mortgage. As well as securing our mortgage Kyle also made sure we have everything we need to set us up for buying our first home, including quotes for Mortgage protection cover and building and contents insurance. Knowing Kyle knew what he was talking about for what we need in these insurances we took them both on his recommendations. We also appreciate the help we have already been promised in the future in 5 years time when our fixed fee interest changes, we know Kyle will be just as helpful then as he was this time around. Thank you Kyle for making this process not as daunting and scary as people make out! Breslin Financial Services helped us as first time buyers to successfully get our mortgage. We would definitely recommend Breslin Financial Services. In particular, to first time buyers as they helped make the process stress free and easy. Kyle was amazing. He was very responsive at all times and happy to answer any questions we had at any time. He made the services suit around our commitments and went out his way to meet us locally which made the process easier. Kyle is going to help us organise our protection covers and we will certainly use his services again in the future. We used Breslin Financial Services to arrange a mortgage for our first house. Kyle made the process of finding the right mortgage and applying for Help to buy scheme easy and filling out the paperwork pain free. He was very easy to talk to, kept us up to date and responded to all of our questions promptly. We are very happy with the mortgage offer we got and could not recommend Kyle highly enough. We are sure we will be using his services in the future for building, life insurance and remortgaging advice. After we have carried out a thorough fact find, we advise and make a recommendation for you based on your needs. We will protect your data and only use it only for our services. We do not sell data. Our recommendation will be based on a comprehensive and fair analysis of the market. We are not tied to any providers. We strive to deliver exceptional customer outcomes and we will always treat you in a way we would want to be treated. The advice we give is always clear, not misleading and easy to understand. We want to ensure your plans are on track on an ongoing basis, we do this through regular reviews to maintain our high standard of service.